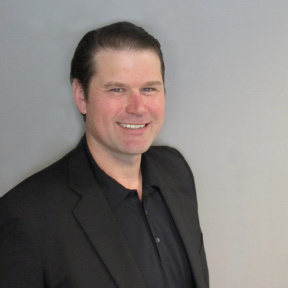 As a Transport Canada certified marine captain and management consultant, Keith has wide-ranging experience on British Columbia’s coastline working with private and government agencies. In 2007, he founded West Coast Aquatic Safaris, an eco-tourism company on Vancouver Island that engages clients from across the Americas, Europe and Asia. Keith has established and grown strategic business partnerships with various organizations including Clefs D’Or Canada, Fairmont Hotels, Relais & Chateaux, Jonview Canada, and the Accessible Wilderness Society. Keith also has extensive experience in employment, training and organizational behaviour through employing and mentoring on and offshore personnel and contractors. His company partnered with the provincial government’s Ministry of Jobs, Tourism and Skills Training to jointly fund new entrants into the workforce to develop skills and gain experience. Keith advised the Tofino Council and District on the implementation of an award winning Downtown Vitalization plan as an appointed committee member including comprehensive community consultations with multiple stakeholders and local First Nations. He has planned, managed and delivered multiple capital expenditure projects in commercial development, vessel construction and public infrastructure. Keith began working with Harris Palmer in 2014 advising on the Naikun Wind Project and developing a multi-audience training presentation for Gitga’at First Nation. Keith has an MBA from the University of British Columbia’s Sauder School of Business and a BSc in Geography from the University of Victoria. Keith is a certified Master Limited marine captain through Transport Canada and is a member of Rotary International and the Canada Korea Foundation.